***Add this helpful website now to your favorites. Download a file?--then click save--and put it on the Desktop. Locating your brand new resume example later when you want to work with it, will be easier. Use these 3 resume formats when you are creating your first resume. Start by opening the resume from your own desktop then get started editting it, try using some different styles, also adding bullets will increase the look, just see what you are able to create. 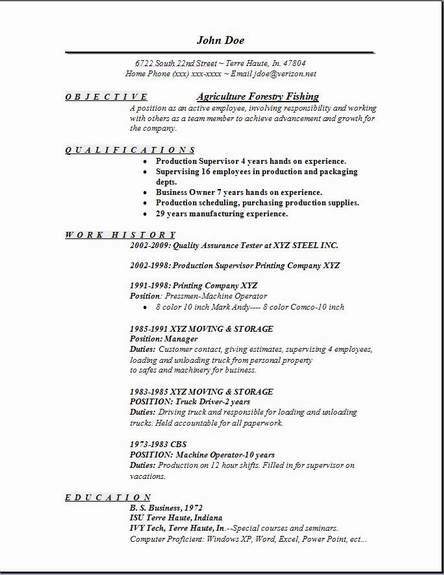 Yes, you will say to yourself, the main reason I am here is to start on my resume today, so just go ahead and edit this example resume with all of your own quality information, you will then have a better idea of the great look you just added to it on your own. 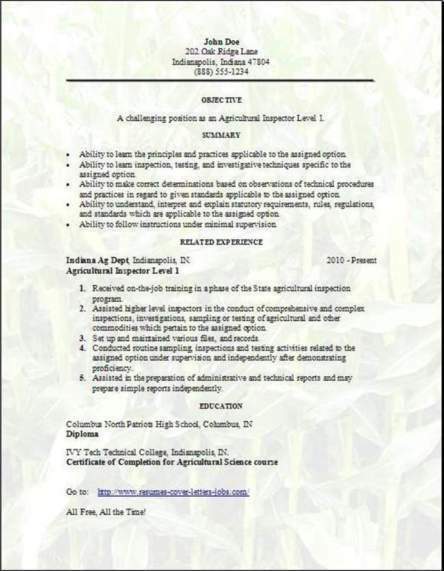 Edit these free agriculture forestry fishing resume until you have finished. Then try visiting a few of the other resume pages and take a look at their samples. You might just come up with your own unique suggestions. The establishments considered in agriculture, forestry, and fishing are considered to be farms, large ranches, dairy farms, huge greenhouses, and nurseries, also orchards, and hatcheries. A farm could take up a single tract of land or it could span multiple individual tracts that may have many different owners. For an example, one section of land the farm operator will own, and the next one could be a rented tract of land. It could be operated solely by the owner alone or it could be run with many hired farm employees, or it sometimes will be operated solely as a partnership, or a corporation, or some other type organization. 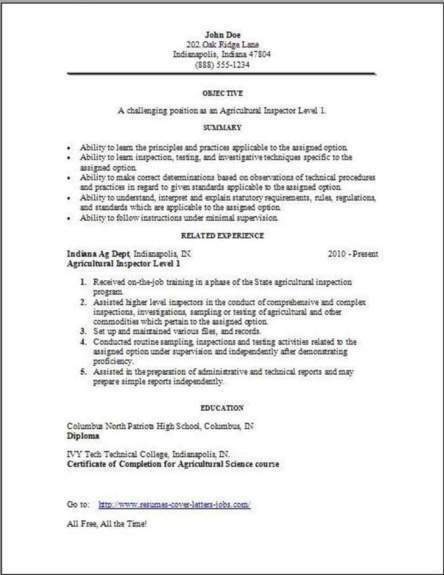 Here are a few job titles or positions in Agriculture and Forestry that you may be interested in looking into even further. Great job hunting and don't you forget to download the cover letter.